Maasim's Kestebeng Festival 2017 Schedule of Activities is here! 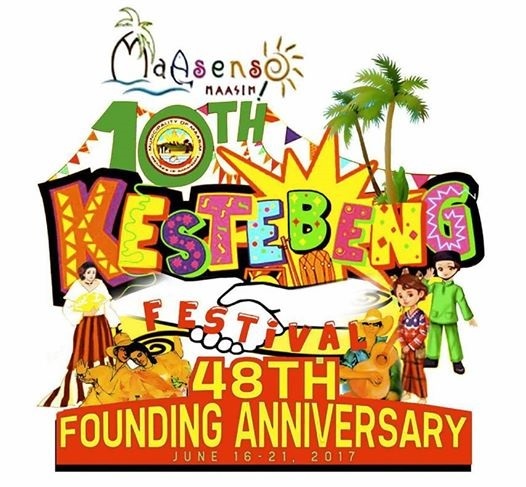 With the theme "Peace and Prosperity is manifested through Cooperation and Festivity", the Municipality of Maasim in Sarangani Province is all set for the week-long celebration of Kestebeng Festival 2017 scheduled this June 16- 21. An annual celebration which coincides with the founding anniversary of Maasim, the Kestebeng Festival showcases the rich and diverse cultures & traditions of the people, as well as the beauty and bounty of Maasim. Kestebeng is Tboli and Blaan term which means teamwork or unity. SOCCSKSARGEN, Philippines #SOXph by Nanardx: Maasim's Kestebeng Festival 2017 Schedule of Activities is here!